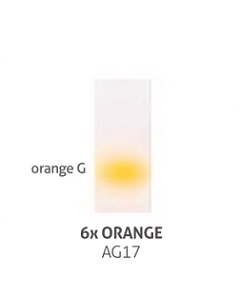 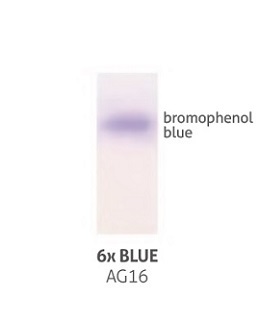 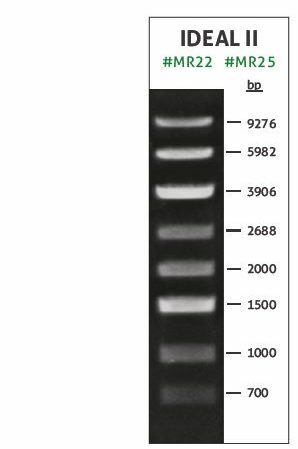 The IDEAL II molecular weight DNA ladder is designed for determining the size of large and medium PCR products, digested plasmids and other dsDNA fragments in the 700 – 9276 bp range. 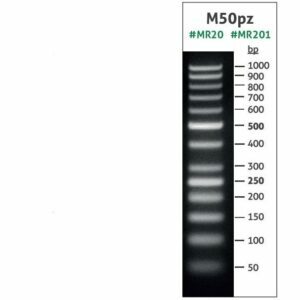 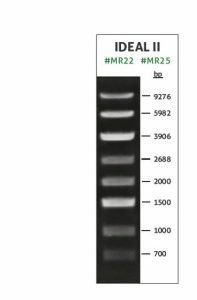 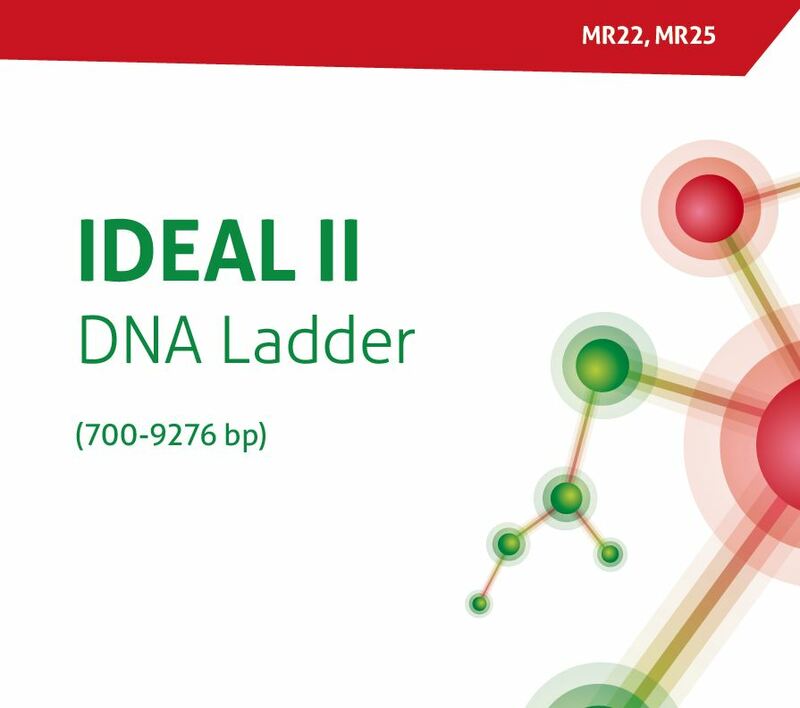 The IDEAL II DNA Ladder is a mixture of specially selected, purified, blunt-ended PCR products and sticky-ended DNA restriction products. 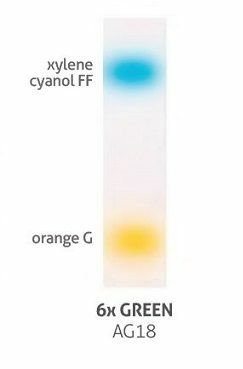 It gives a clear band pattern. 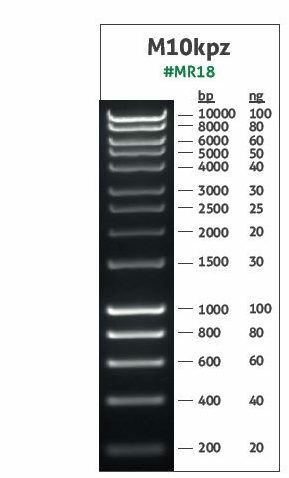 A DNA loading buffer (6x GREEN) is provided with each DNA ladder. 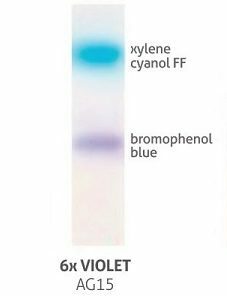 The loading buffer contains Ficoll® 400, which facilitates rapid sinking to the bottom of the well in the agarose or polyacrylamide gel.